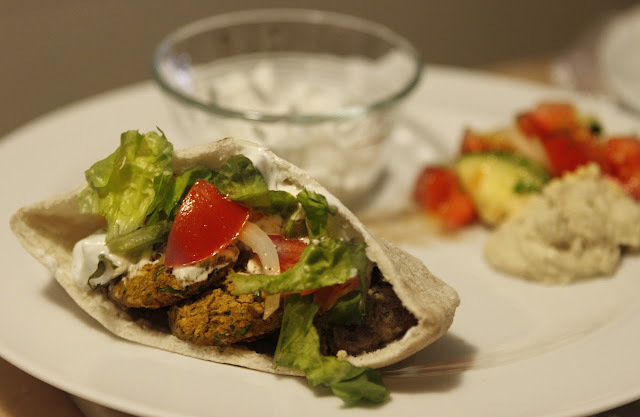 One of the culinary quests I've longed to venture upon for years is the homemade falafel! This recipe got preeetty darn close to those delicious littler buggers that got us through our time in Israel, food-wise. If you're craving some mediterranean/middle eastern cuisine definitely give this a try. 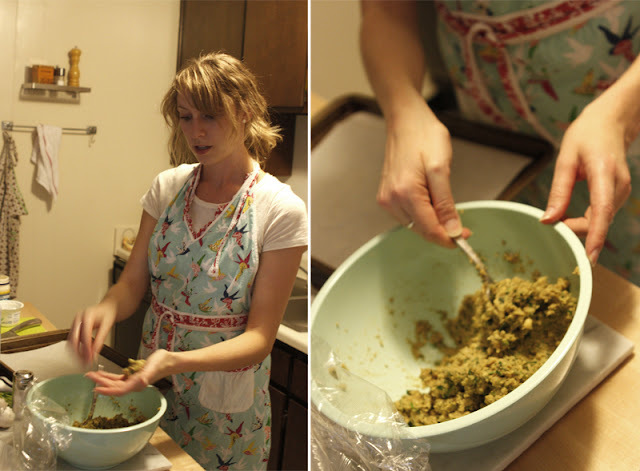 I used this recipe which is "authentic" and called "easy" and "the best falafel recipe EVER," so it can't be that bad! 2. Move the mixture into a large bowl, add the rest of the ingredients and put aside, covered, for 30-60 minutes. 3. Warm the oil – it should be hot, not boiling. Add the baking soda to the mixture and knead a little. 4. Wet your hands and shape little balls (smaller then apricots). Fry until you get a deep brown shade. DO NOT TRY TO FRY THESE! They fall apart. We baked them on a greased baking sheet at 350 for about 15 mins (flip them halfway through). Not SURE about the baking time so just make sure they're browned on both sides. and this sauce is ESSENTIAL!